Marquinhos saluted the impact and "philosophy" of Unai Emery after Paris Saint-Germain wrapped up the Ligue 1 title with a remarkable 7-1 win over Monaco, as the coach looks set for an exit. 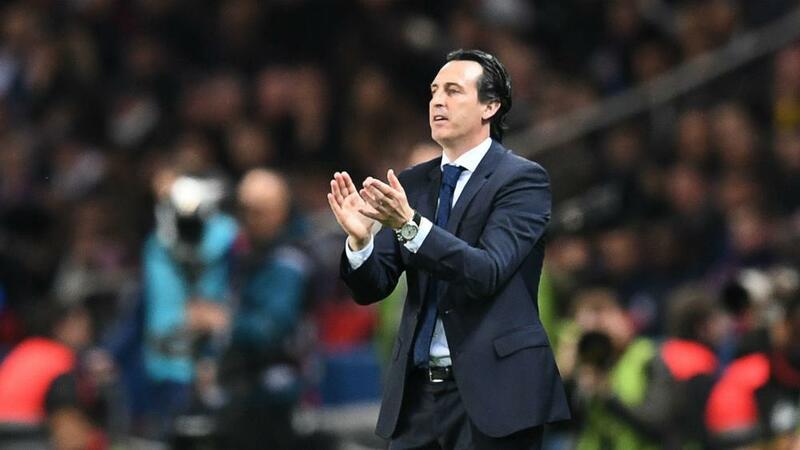 Emery was hired at the start of last season after guiding Sevilla to three successive Europa League titles, as PSG aimed to take themselves to the next level in the Champions League. But his first season in charge did not go to plan, with PSG losing out to Monaco in the title race and suffering a humiliating Champions League last-16 exit at the hands of Barcelona, despite winning their first leg 4-0 in Paris. Although they have won the 2017-18 Ligue 1 title at a canter thanks to Sunday's incredible demolition of Monaco, Emery - whose contract expires in June - is expected to leave, with Thomas Tuchel reportedly set to replace him. But centre-back Marquinhos was quick to highlight Emery's influence in their title triumph, just a few hours after captain Thiago Silva urged the club to keep the coach. "Emery has had a big hand in this title," Marquinhos told Canal+ after the win over Monaco. "He made us very careful and gave us a good philosophy. It's always beautiful to be champions, it's part of the story. "All titles count - players will remember the titles when they will stop their careers." Emery himself did not comment on his future after the game, rather focusing on his team and saluting their consistency, before reminding them they still have the Coupe de France to win. "I think the team has maintained their level of play and today we got what we wanted," he added. "We celebrated it with our supporters. We are happy. We kept our consistency and we made the difference. We remained competitive throughout the match. "We still have the Coupe de France [to come]. This is the seventh [league] title [in PSG's history], and there are only very few teams that have more than us in France. "We're a very solid team. With patience, work and progress, we got there."